Being a customer oriented organization, we are highly engaged in offering a wide range of Guru Laser Cricket Rubber Balls. Capitalising on the proficiency of our professionals, we have been able to put forth a comprehensive array of Multi Colored Cricket Rubber Balls. Stringently supervised by our professionals, these balls are manufactured using optimum grade raw material and advanced techniques in accordance with industry specified norms. As an affluent name in this domain, we hold expertise in providing high quality Rubber Cricket Ball. 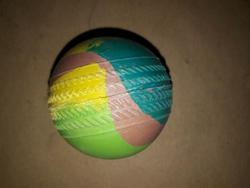 Backed by an experienced team of professionals, we have emerged as a distinguished business entity manufacturing and supplying of a wide collection of Cricket Rubber Ball. 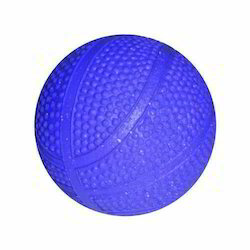 We have marked a distinct and dynamic position in the market by providing a high-quality array of Rubber Ball. We have highly acknowledged organization engaged in presenting a remarkable range of Rubber Ball.